The 3D models shown below were captured with the Beastcam technology as part of the 2017 Philippines expedition taken with the support of the University of Oklahoma, the University of Massachusetts at Amherst, Clark University, and Yale University. The primary goal of that expedition was an analysis of the form, function and habitat of Brachymeles skinks. While that data was also collected (3D Brachymeles will be presented at the annual SICB meetings in 2018), we also were able to collect additional data to compare against the body axis of this group, which is known for its variation. Below are a few of the other organisms that we will also compare against Brachymeles (excluding the spider, which was an extra opportunity to test the limits of the system). Through this work, we came to realize the potential value of these specimens for collection-based research. Indeed, they provided us the opportunity to test out a new concept - 3D Digital Specimens. 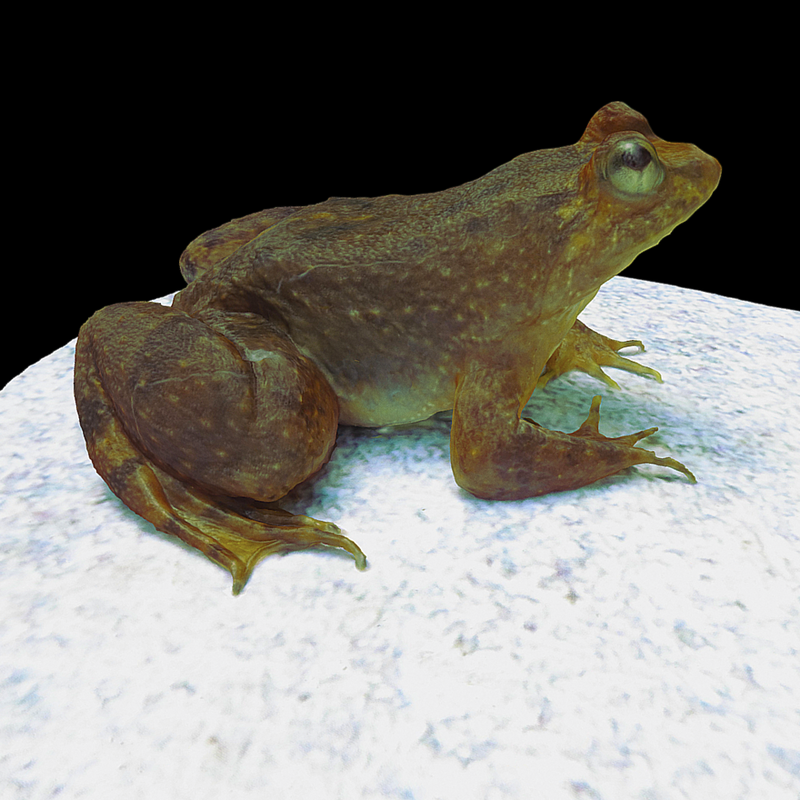 The idea of a 3D digital specimen is to integrate metadata typically collected as part of a collections trip (e.g., locality, GPS, date of collection, etc) with 3D models of the specimens when they are first captured, or soon after capture. This allows viewers to see the typical postures and colors of organisms before preservation. As these models are shareable, and downloadable, they provide scientists and laypeople with a valuable resource to understand biodiversity of a region, as the 3D models can be downloaded, measured for various traits, and also used as a basis to identify species. They can also be easily 3D printed, and even viewed in VR or AR! For Brachymeles specimens, we aim to showcase some of these aspects during SICB in San Francisco. We note that all of the specimens below have been deposited as voucher specimens at the Sam Noble Oklahoma Museum of Natural History. All of the below specimens were collected under proper permits and with Philippine colleagues, such as Jason Fernandez. We will be adding more specimens as time proceeds, but we encourage you to share these specimens widely with colleagues and also download them for scientific and non-profit use. The overall effort was supported as part of an NSF grant to Cameron Siler, Philip Bergmann, Duncan Irschick, and Gunter Wagner.